Small foam bus (?). I'm not really sure, to be honest. It's like a little sponge. 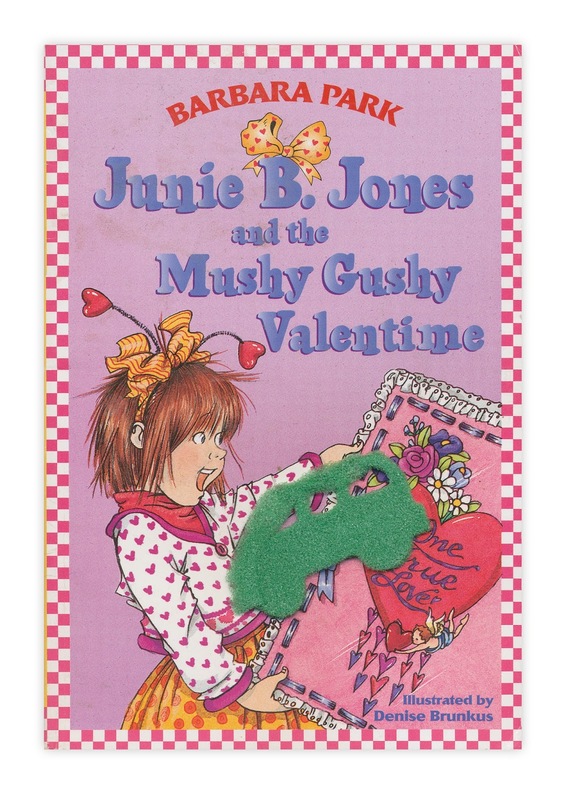 Found in "Junie B. Jones and the Mushy Gushy Valentine" by Barbara Park. Published by Random House, 1999. I would bet that it started out as one of those little capsules that you put in water and they expand. They often have themes (dinosaurs, animals, vehicles) Those are that same kind of sponge texture. Yep! I'm sure that we have some books downstairs in the kids' rooms with similar foam thingies!